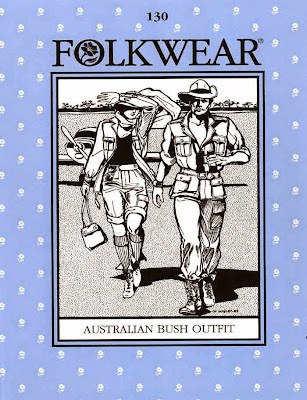 Behold my latest pattern purchase, Folkwear 130, up top. 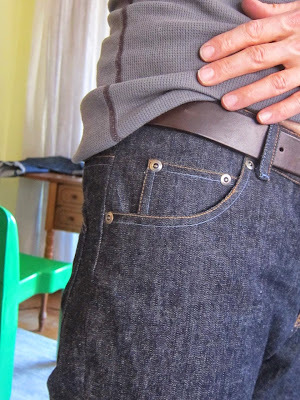 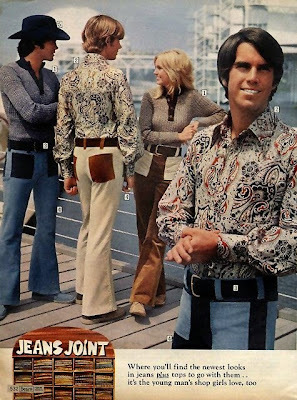 To see me model my white jeans and indigo jeans, just click here. 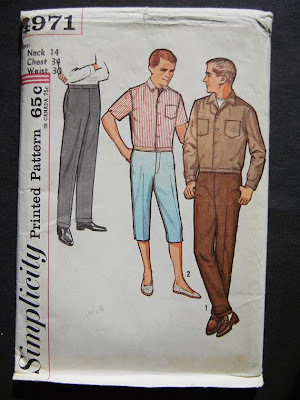 My third and final pair of pants for February is Simplicity 4971, a men's shirt jacket and slim pants pattern which dates from approximately 1963. 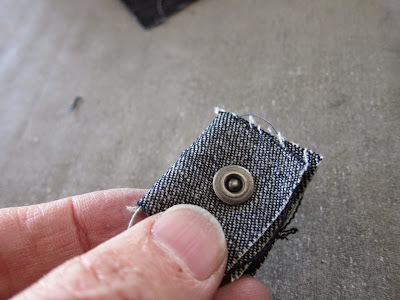 Now that I've finished my white jeans, it's time to work on a pair of blue jeans -- my first in years. 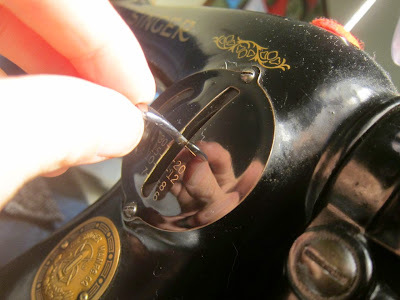 Roughly four years ago, my friend Rain restored my vintage Singer 15-91.